Mars will be visible to stargazers Sunday night as it moves into opposition with Earth. All you have to do is walk outside and look up at the sky. Because Mars is directly opposite the sun, the red planet will rise as the sun sets, and set as the sun rises. Beginning around sunset, it will be visible in the east. It will move to its highest peak around midnight before setting to the west around sunrise Monday morning. 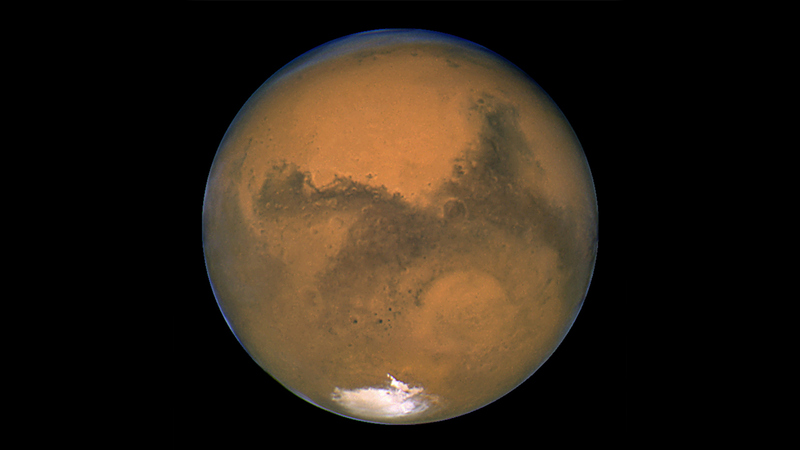 Mars will come within 47 million miles of Earth. Mars' opposition happens every two years, and it comes and goes fairly quickly. According to EarthSky, Mars has quadrupled in brightness since the beginning of April. It will shine nearly 80 times brighter than it does when the planet is at its faintest. On May 30, Mars will be the closest it has been to Earth since November 2005, giving us the best view we have had in over a decade. Those with a telescope will have an even better look at the incredible event.